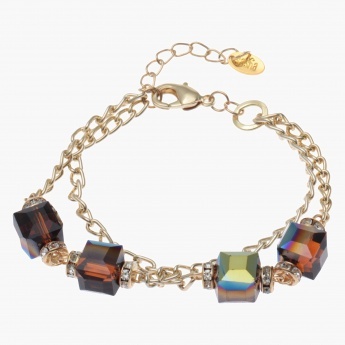 Add brightness and colour to your look as you don this sparkling multi-layer bracelet. With gilt chains, it features lobster clasp and extender links for utmost comfort. The chunky faceted cube beads and crystal-embellished accents are adorable.